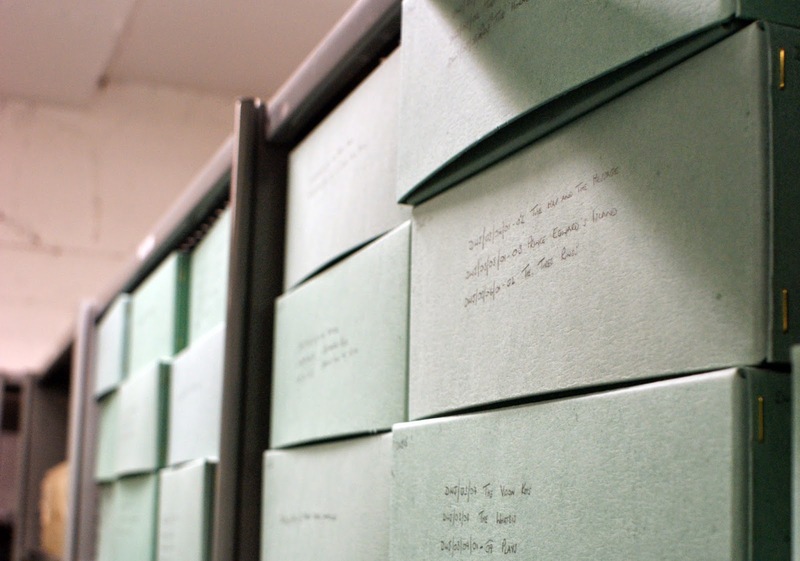 In this blog post Seven Stories Collections Officer, Paula Wride gives an overview of one of our many fascinating book collections. Paula, a former Schools Librarian, looks after Seven Stories' extensive library of books and other publications (currently numbering at well over 35,000 items). Here she looks at the Thimble Press collection - a collection of traditional tales and folklore from around the world. 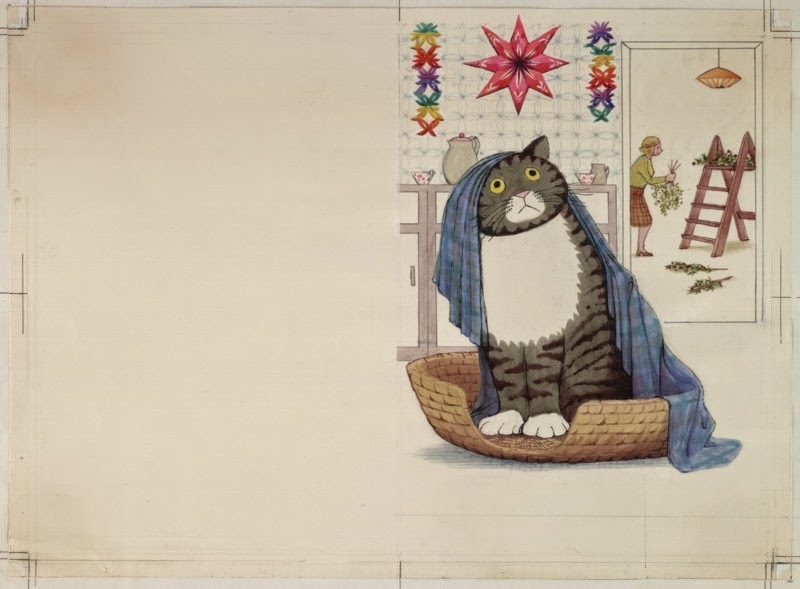 In 1969 Aidan and Nancy Chambers set up the Thimble Press in order to publish the journal Signal Approaches to Children's Books, which appeared three times a year from 1970 to 2003, unsupported by subsidy or advertising. Each issue collected articles about some of the many aspects of children's literature - authors, artists, criticism and reviewing, translation, educational theory and practice, and so on. The writing in Signal led to a number of separate publications, including the annual surveys of new books in the 1980s (The Signal Review and The Signal Selection) and the Signal Bookguides, which were authoritative tools regularly used by librarians, teachers and interested parents. A library of children's books accumulated over the years, serving as a background and reference source for contributors to Thimble Press publications and their editor. In 2010 the traditional-tales section, numbering over 1300 books, was donated to the Seven Stories Collection by Nancy and Aidan Chambers. The collection includes titles recommended in Mary Steele's Traditional Tales: A Signal Bookguide (1989), and copies of these are stickered with the relevant entry numbers. Many individual Authors / Illustrators / Compilers are strongly represented within this collection including: Kevin Crossley-Holland, Michael Foreman, Errol le Cain, Naomi Lewis, Kathleen Lines, Patrick Lynch, Charles Perrault, Joanna Troughton, and Brian Wildsmith. Since the donation of the Traditional Tales collection we have received several other wonderful book collections from the Thimble Press library including over 270 children’s literature related reference texts, 72 Pop-up books and boxed book & gift sets, and 25 editions of Alice in Wonderland. There are strong links between the Thimble Press collection and several of our other book collections most notably: Elaine Moss (Writer, Reviewer, Broadcaster and part-time Primary School Librarian) and Eileen Colwell (pioneer of children's libraries and champion of children's books) both of whom wrote Thimble Press titles (see photo above), and whose personal book collections (of 775 and over 300 books respectively) we hold. 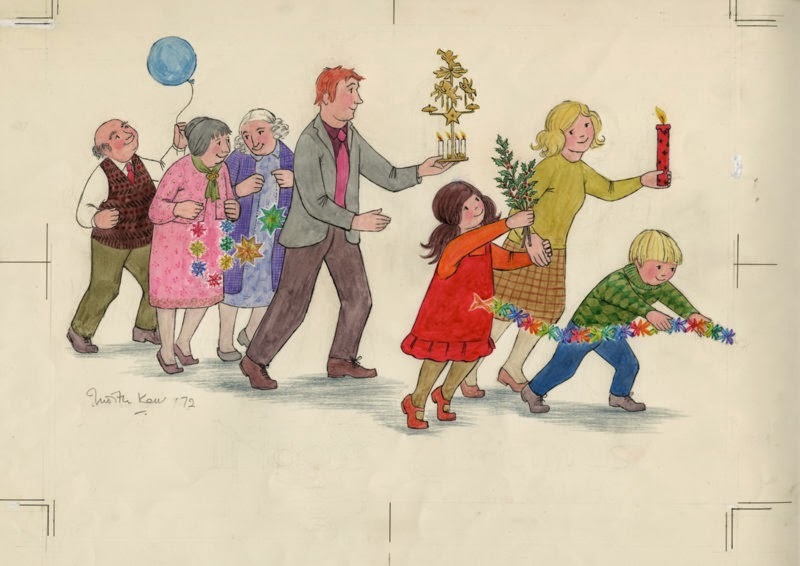 We also have Kathleen Lines’ personal collection of over 350 children’s books which are predominantly Traditional Tales, and include many of the titles she wrote / compiled. If you would like to find out more about our book collections or the many Children’s Literature journals we hold (including Signal Approaches to Children’s Books), then click here to contact us. When the opportunity came up through my MA course at Newcastle University to take part in a temporary writing residency at a ‘cultural venue’ in Newcastle or Gateshead, I’m not saying I was holding out for Seven Stories. I’m not saying there was some careful avoidance and glossing-over of emails, I’m just saying that I was thrilled when I heard that Seven Stories were happy to have me hang around for a couple of days. As an aspiring writer for children, the National Centre for Children’s Books is a pretty lovely place to me anyway, but I was particularly excited to be given a private look at some of the archive material. I’d seen some of the material before at Seven Stories events, but had generally been too worried about sneezing on something important to spend too long hovering over it. But in November at the Gateshead archive, I got to spend a day flicking through papers at my own leisure. I say ‘papers’ as if that’s all they were, but in actuality I was focusing on the Diana Wynne Jones material. The point of this was originally to focus in on fantasy writing for children, but frankly without some kind of parameters I could have locked myself away in there until next summer. Even just focusing on the Diana Wynne Jones archive I stayed two hours longer than intended, and still had boxes heartbreakingly unopened when I left. 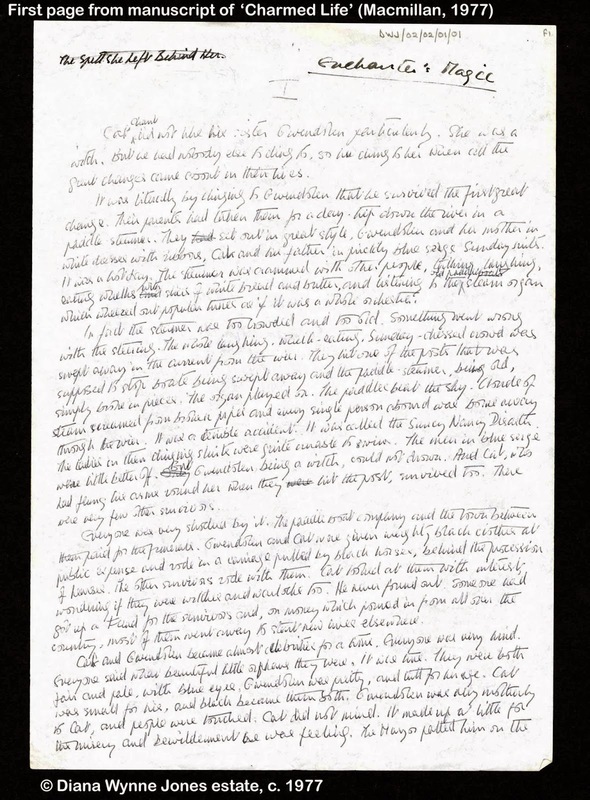 As a writer myself, I can’t describe (ironically) how fascinating it was to look through the manuscripts, drafts and notes of an author as celebrated as Diana Wynne Jones. It’s easy to assume as a young, unpublished, would-be author that nobody but you has problems redrafting, nobody but you throws half-formed ideas away in frustration and nobody but you occasionally produces something so genuinely dire not even your mother can find anything nice to say about it. It’s wonderful to know that Diana Wynne Jones made notes for so many eventually unused ideas, and went through so many enormously changing drafts of a book that eventually shaped millions of childhoods, and wrote as precociously as any fourteen year old convinced of their own cleverness. And not just to know it, but to physically hold evidence that not every word that falls from an eminent author’s pen is perfect the first time round, is pretty thrilling! My favourite piece by far was a very early letter from Diana Wynne Jones’s agent. I think it was dated sometime around 1968, so before Jones had published her first novel and long before she was a legendary name in children’s fiction. Stupidly, I didn’t write the contents of the letter down, but the gist was along the lines of ‘I have unfortunately been unsuccessful in selling your article. Sadly, the nature of these things tends to be that unless you are enormously qualified or have a renowned and illustrious name behind you, publishers aren’t interested.’ That, to an aspiring writer with a collection of rejection letters in the dozens and a name my own teachers struggle to remember, was a hugely satisfying read! The whole experience was hugely satisfying, in one way or another. 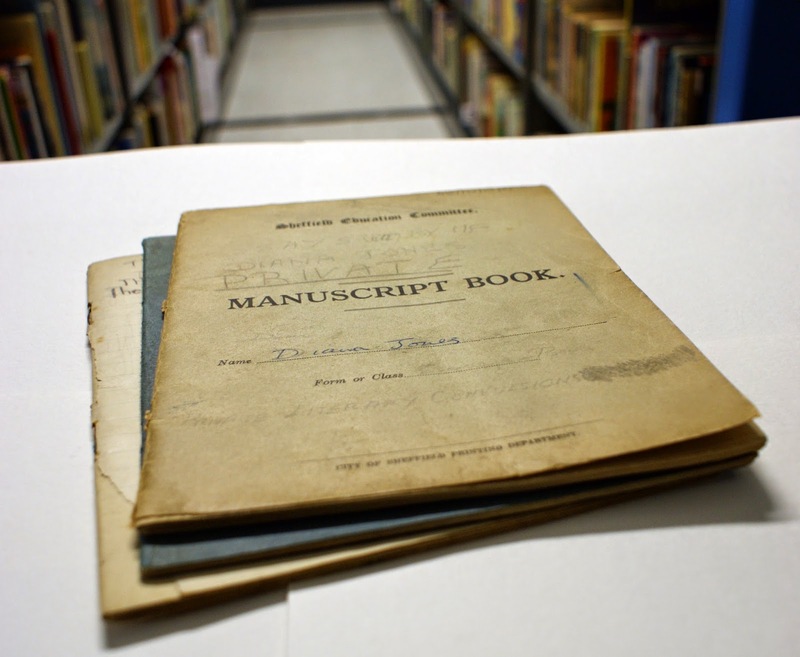 The generosity of Seven Stories in allowing me to wander through the archive material at my own pace, the material itself, and the insight it gave me to the life of a professional writer. In an industry as London-centred as writing and publishing for children, to have resources like Seven Stories and the collection here in the North East is an opportunity that should not be missed; you never know what you might find. Becky Orwin is an MA Creative Writing student at Newcastle University. Becky visited Seven Stories and the archive as part of the 'Write Around the Toon' project - a student-led project, which places students from Newcastle University’s Creative Writing programme in short residencies with cultural venues across Newcastle-Gateshead (you can read more about it here: http://watt.nclacommunity.org/content/). The Diana Wynne Jones collection is available to view by appointment at the Seven Stories Collections Department (you can read more about it here: www.sevenstories.org.uk/collection/collection-highlights/diana-wynne-jones). To find out more about the Seven Stories Collection click here. To make an appointment to visit the Collection or to enquire about other collections that we hold then click here to contact us. 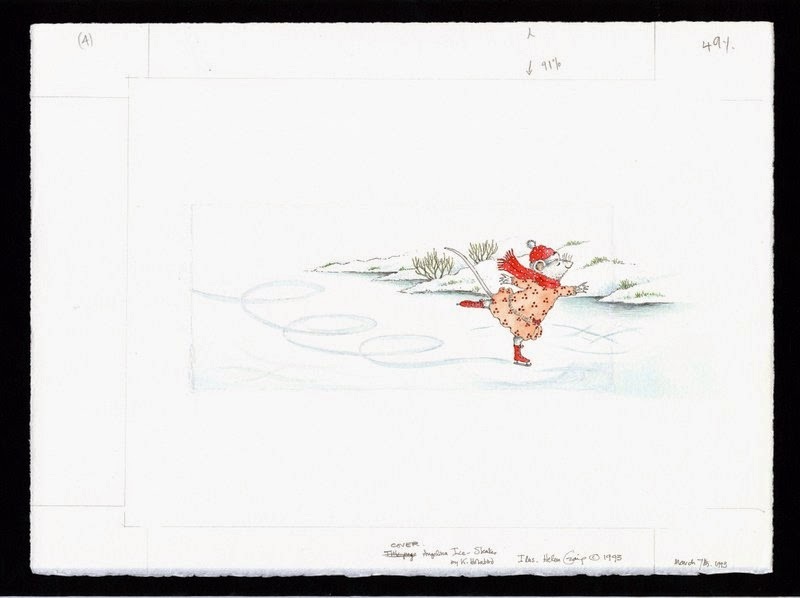 Angelina uses her beautiful ballet skills to dance across the ice instead of a stage. This is a heart warming story of Angelina bringing some Christmas cheer to Mr Bell, who has retired from being the village post man. 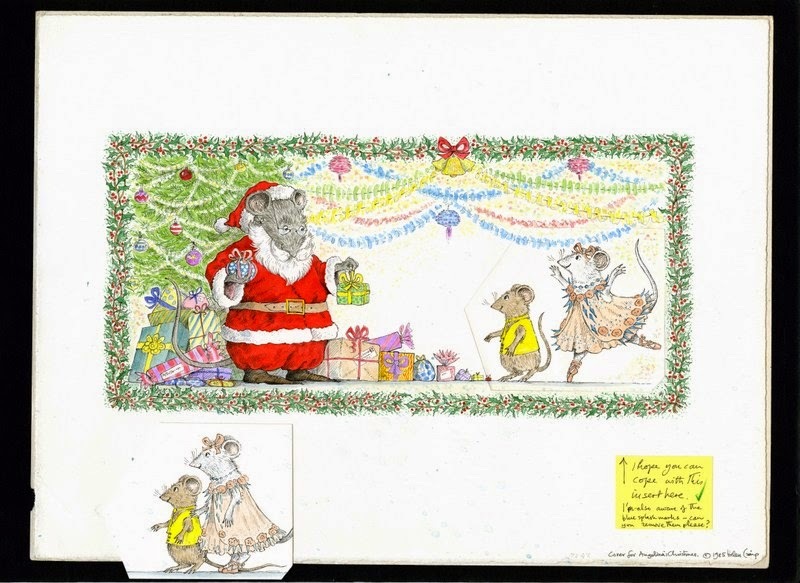 To see more artwork from this book, and many other Angelina Ballerina titles, visit 'Twists and Tails - the Story of Angelina Ballerina' at the Seven Stories Visitor Centre until April 2015. 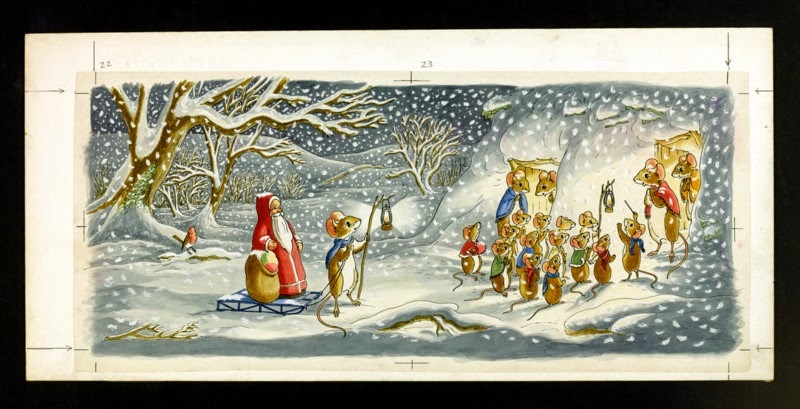 Tim Mouse and children find a little old man with a long white beard lying in the snow. They know nothing about Christmas, but the old man soon tells them all about Christmas Day, who he was, and how he got lost. Tim, with the help of his wife, his children and his friends, comes to the rescue and makes sure that no one is disappointed on Christmas Day. Christmas come to Mog’s household and Mog finds it a little unsettling. There are lots of new people and a walking tree! Two parents bring home a Christmas tree for their children for Christmas day, but they cannot afford to decorate it with candles and sparkle. When they go to sleep, the Christmas tree goes on a journey to find decorations to delight the children on Christmas morning. He loses many of his needles, and only Santa Claus can help. 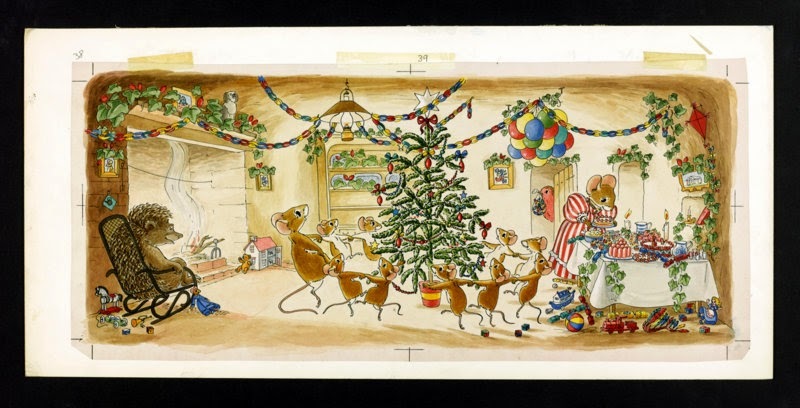 Original artwork for The Good Little Christmas Tree by Ursula Moray Williams (George G. Harrap, 1943)How many different animals can you spot in these pictures? To find out more about any of the items shown in this post, visit the Seven Stories Catalogue. You can also call on 0191 495 2707 or email at collections@sevenstories.org.uk.